Ready to bust some malpractice myths with your unprotected colleagues? I promise it's not dry or boring, but enlightening and easy! One of our passions is to educate professionals about the risks and benefits of malpractice insurance. It’s never too late to make a difference. The truth is, no matter how careful they are, any professional can have a claim. From slips and falls to clients having allergic reactions, running a business can be unpredictable. Having coverage gives you peace of mind! So, in this case, your coverage is always being used to support your work. 2. If I switch, I’ll have a gap in coverage. No worries here. ABPG can make sure there is no gap in your coverage. Just reach out to us, and we’ll make sure you’re protected during the transition. 3. Any company offering me malpractice insurance understands my industry. False! Not all malpractice insurance companies know your trade or have the experience to support your specific risk. 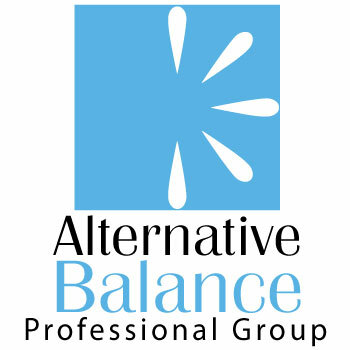 Alternative Balance Professional Group has 20 years of experience in the health, beauty and wellness industries and understands what types of coverage really matter to your work, ensuring you are fully protected. 4. I'm too busy to figure out how much coverage I need. ABPG has already done the research for you and includes the right coverage in your membership. With just a few clicks and in less than 10 minutes, you can apply online, have instant access to your documents and move on to see your next client. 5. All insurance companies are the same. False! Insurance companies have different financial goals, ethics and risk management policies. You can often see very quickly where a company's value is in the pricing. If the pricing is too good to be true (like $99 or less a year), then you could eventually be seeing coverage gaps, high claim reporting, unethical marketing tactics and limited customer support. Make sure your company has a strong history in the industry, ethics that match yours and pricing that matches or goes above industry standards to insure you have no gaps in coverage. 6. My rate will go up if I have claim. Not with us. We don’t punish you for having a accident. When a claim happens, our goal is to educate professionals about their risk in running a business, not to raise rates. 7. I can’t switch until my current policy is up for renewal. This myth is very common and luckily is false. You can actually apply for a different policy with a different company any time and cancel your existing one. Though some companies do not refunds or pro-rating, many companies will provide you a new policy while your other one is active. Want to learn more how ABPG can help you and your business with malpractice insurance and a whole lot more? Visit us at AlternativeBalance.net.